Did You Know? 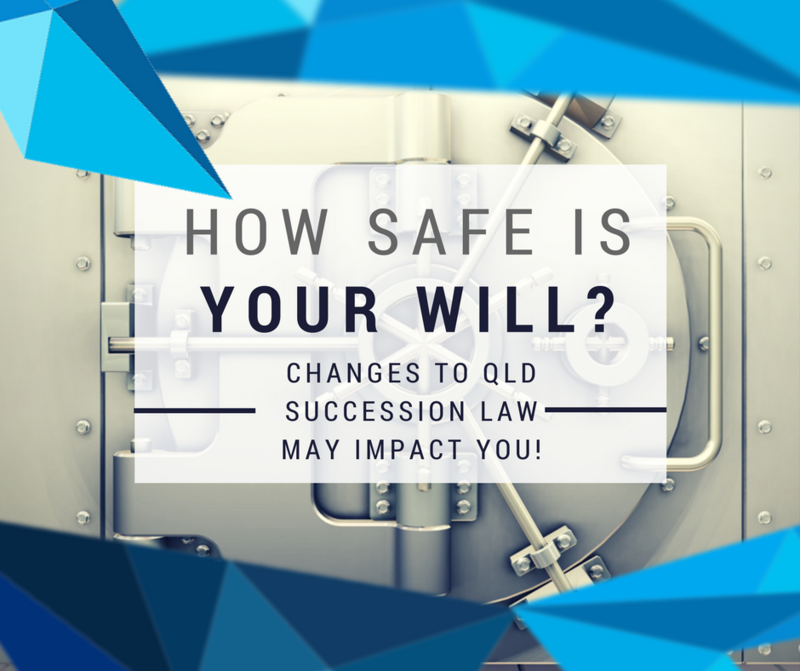 Changes to Queensland Succession Law May Impact You! Two recent changes to Succession Law in Queensland will have significant impacts upon estate disputes and the way Wills are treated where they include former de facto partners. The changes are an important reminder of the need for an up to date Will and estate plan and sound legal advice surrounding these important matters. Where a former de facto partner has been included in a Will (either to receive a gift or some power), this will now be removed from the Will automatically if the de facto relationship ends unless intention has been expressed to the contrary in the will. Specifically, this means that if your Will provides for your former de facto spouse to receive any gift(s), to be appointed as executor or trustee of the estate or to receive a grant of power of appointment in relation to a trust, these parts will be removed unless your Will expressly states you wish for them to remain despite being separated from your de facto spouse. This only increases the importance of having a properly drafted and current Will and estate plan in order to make your intentions clear and to avoid leaving your family with any complicated issues to resolve. At Aylward Game Solicitors, we are experienced in preparing Wills and estate plans which are relevant to your individual circumstances. We offer professional Brisbane Lawyer services/advice and reasonable fees to provide you with peace of mind. Children of de facto partners are now to be considered ‘step-children’ where they are claiming a share of an estate. If a Will maker was in a de facto relationship at the time of passing away, any children of the de facto partner will be considered step-children for the purpose of any family provision application made in relation to the estate of the Will maker. This creates the potential for a greater number of family provision applications than may have been made prior to the amendments. Family provision applications are essentially where an Applicant sues the estate’s executor in an attempt to claim a share of the estate. For more information regarding the specifics of family provision claims, please see our earlier article ‘Have You Been Left Out Of A Will?’. At Aylward Game Solicitors, we have represented the interests of both the Estate and the Applicant in family provision applications. The amendments have been made in response to shifting societal norms and the need for the law to keep up with these changes. The changes are a sign of the times and are important in acknowledging the changing nature of families and the increased prevalence of de facto relationships in our communities. Call us today to speak with an experienced lawyer on 1800 217 217 or email mail@aylwardgame.com.au for more information.